MEDFORD, Long Island (WABC) -- Police on Long Island have arrested a teenager in connection with two separate crashes, one of which injured a police officer. 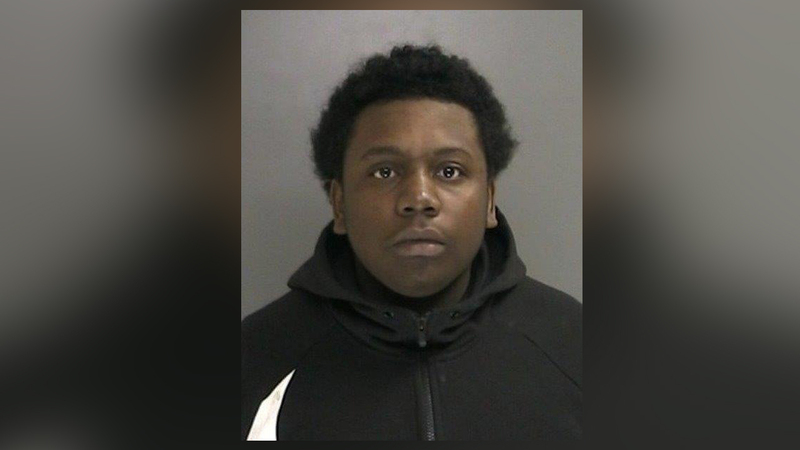 According to Suffolk County Police, 17-year-old Jaheem Funderburke was driving a Mazda in Medford Saturday night when his vehicle struck a Nissan driven by a 42-year-old woman. She was not injured. Funderburke and two passengers in the Mazda fled the scene on foot before being apprehended in a wooded area, police said. Funderburke was transported to Southside Hospital where he was treated for minor injuries and released. Funderburke, of Medford, was also charged in connection with an incident Friday night when he allegedly struck a Suffolk County police officer and then fled the scene. The officer was on foot responding to a call on Peterson Street when he was hit. He was treated at Southside Hospital in Bay Shore for non-life-threatening injuries. Funderburke faces multiple charges, including leaving the scene of a motor vehicle accident, assault, reckless endangerment and and criminal possession of a controlled substance. His passengers in Saturday night's crash, 18-year-old Kalithe Bell and 18-year-old Kenya Uceda, were charged with criminal possession of a controlled substance.